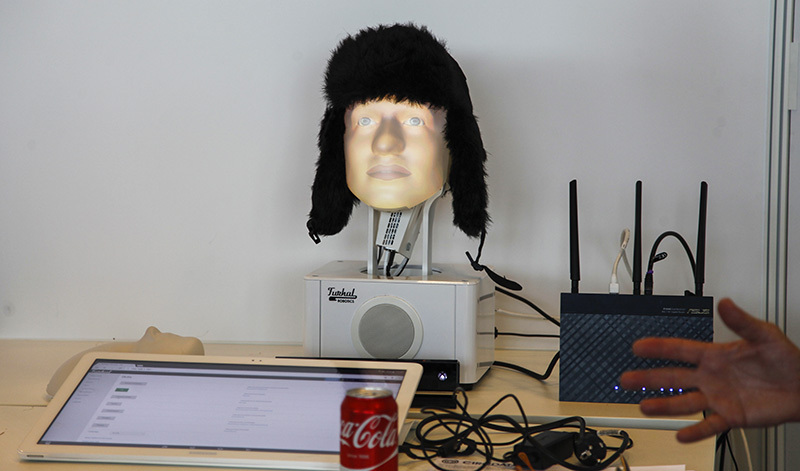 Furhat robotics is a company working at the Swedish university KTH (Kungliga Tekniska Högskolan) in Stockholm. They have created a social robotics interface which is quite intriguing. This week I had the pleasure of visiting them and checking out their work. Actually the way the Furhat displays facial expressions is rather clever. 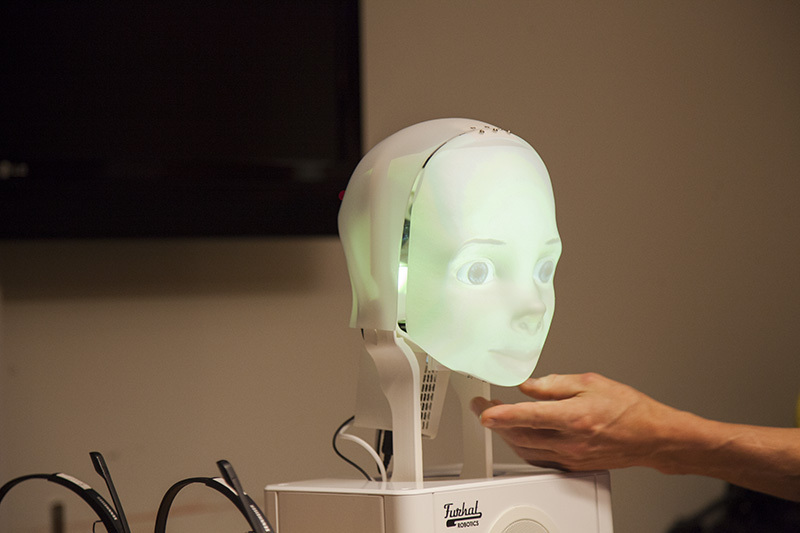 Instead of fumbling with movable parts they use a projector inside the head to project a face from the inside. 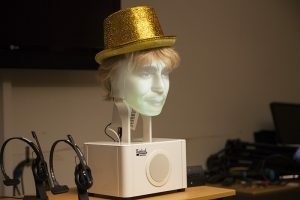 This also makes for more flexibility than ordinary robotic faces, you can just swap the faceplate for a different shape, and the image for a different look. 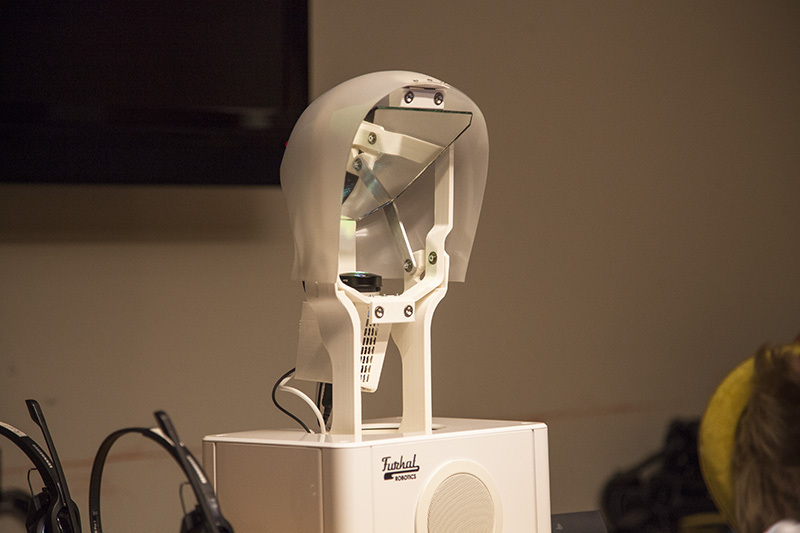 It uses a Kinect (or similar devices) to map its surroundings. 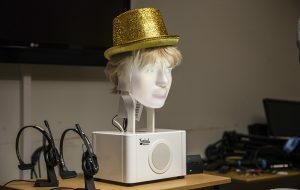 It can detect multiple people and faces, and also recognize whether these people are facing Furhat or not. Thereby Furhat can know whether it is being addressed or someone else. The idea is to use Furhat as a social type of interface. The application is up to the user. 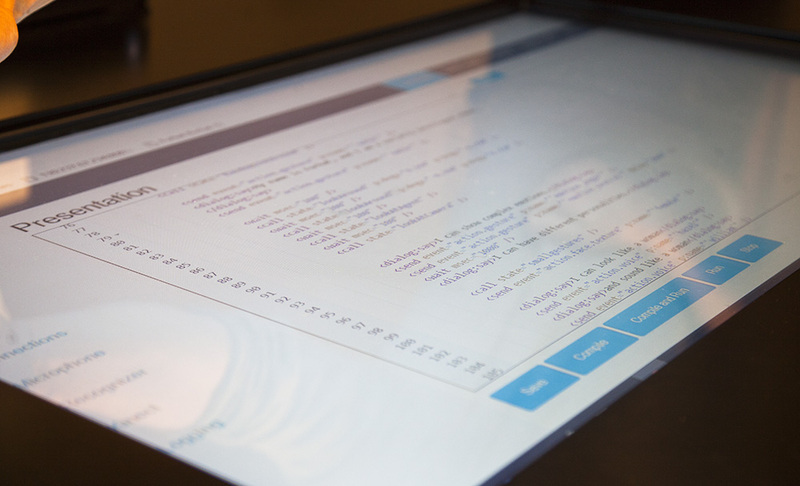 The creators have made a few demos, but the idea is that whoever uses it will be able to develop their own applications for it. To do that you use a special coding language which is based on Java. It seemed to me really simple to grasp considering the relative complexity of the applications. For now, the Furhat robot is controlled via a simple but sleek and fast web-based interface. This makes it controllable from just about any device. There are some loose plans to develop an AI that can for example detect phrases it hasn’t heard before. For the time being however, such applications would have to be developed by the user. It’s a really fun little robot, and there are a great number of applications. Hopefully we’ll see this guy in the real world soon. Perhaps greeting us at restaurants, checking us into hotels, providing customer service, or even help teaching at schools. Probably what makes Furhat attractive over more advanced and expensive solutions is the simplicity with which you can program and customize it. Just looking briefly at the code it uses I doubt it would take long for a developer to learn the customized language. There’s also a free digital version of sorts that uses the same core functionality and language. But rather than a physical robot you have a 3D model which you can manipulate in a similar way to Furhat. Meaning you can try out programming the Furhat before you actually decide to buy it.